Exactly what does a "normal" life mean to you? Will your autistic child grow up to lead a normal life? 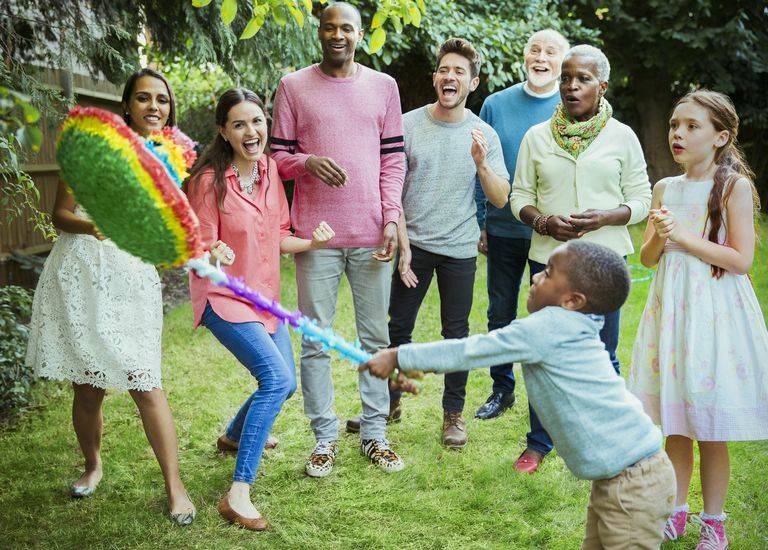 Not only does this question plague parents, but it can also become a mantra for grandparents, friends, and extended family. "When will he stop acting that way?" "Will he ever be able to live on his own?" Even worse, these types of questions are unavoidable because they are built into autism assessments, transition planning, applications to state and federal agencies, and discussions with guidance counselors and financial planners. Frustratingly, questions about an autistic child's long-term abilities and needs start long before real planning can begin. And, of course, they are rarely applied to typically developing children. Typical children, for reasons that don't relate very closely to reality, are presumed to be headed toward independent, competent, partnered adulthood. Who asks the parent of a typical 10-year-old "will he get married? hold down a job?" Who asks the parent of a typically developing 14-year-old to put their child through a series of evaluations for "adaptive life skills" to determine their young teen's ability to do the laundry, cook dinner, or manage money? How often are typical high schoolers and their parents expected to create a long-term plan for educational or vocational training, housing, and independent living? The answer to these questions is, of course, rarely or never. So, given that, as a parent of an autistic child, you will be asked these questions (and that you may ask them yourself, even if you don't speak them aloud), how do you answer? Here are three suggestions. Strangely, in this day and age, many people still think of "normal" adulthood as involving a full-time job with a pension, heterosexual marriage, 2.5 kids, and a mortgaged house in the suburbs. A fast-shrinking number of people actually live this way, as the world has changed radically since the 1950s. Young adults, even those with college educations, are coming home to mom and dad and sticking around for years. Older adults are moving in with their children. Homosexual marriage is now the law of the land. Many couples live together without marriage. Jobs are not guaranteed, and pensions are nearly extinct. Virtual jobs, temporary jobs, contracting jobs, and commission jobs are more and more common. So... which form of "normal" might be right for your autistic child? What Do You Mean By Grown Up? In Jewish tradition, a child is considered an adult at age 13. Many opportunities open up to teens at age 16. Young adults can join the military at age 18. Drinking is legal at 21. The IDEA provides services to young adults with autism until their 22nd birthday. Yet many young Americans, even those who have no particular challenges, rely on their parents for funds, housing, and moral support well into their 20's or even longer. People with autism are, by definition, developmentally delayed. In many cases, they will never "catch up." In other cases, however, time does make a real difference in functional ability. Is an adult with autism "grown up" at age 21 or 22? Or should the expectation of independent adulthood be postponed (as it is in practice for many typical adults) until a much later date? For most people with autism, it can take longer to gain the social communication skills required for self-reliance. What Do You Mean By Independence? There is a common belief among Americans that adult individuals should be able to manage every detail of their lives alone, without support. That means working full time, creating and maintaining a vibrant social and recreational life, renting or buying and maintaining and cleaning a home, shopping, cooking, paying bills and taxes, handling health concerns and insurance of all sorts... the list goes on and on. Of course, very few people actually manage all those "independent living skills" on their own. Married people share the burden. People with money hire others to do a good portion of the work. Single people ask friends and family for help. Many typically developing people fail to manage the huge list of to-dos and, as a result, wind up in debt, living in a dump, or failing to care for their own health needs. Do we expect (or even WANT) adults with autism to become absolutely independent? Or should we assume that they, like everyone else, will need advice and support?